TRAILER: Barbra: The Music, The Mem'ries, The Magic! - Joe.My.God. TRAILER: Barbra: The Music, The Mem’ries, The Magic! With a career spanning six decades, Barbra Streisand is a legend of both stage and screen with a loyal, loving fanbase. In the Netflix film concert event she is joined by an exciting roster of special guests, including a special duet with Jamie Foxx, as she takes audiences on a journey of her life’s work, like a stroll down mem’ry lane with a good friend. 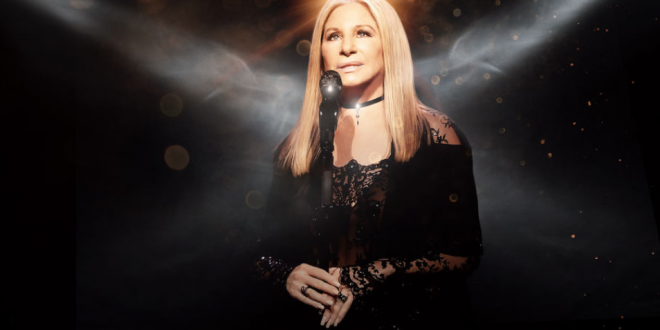 Directed by Jim Gable and Barbra Streisand, Barbra: The Music…The Mem’ries…The Magic!, a Netflix film, is produced by Ann Kim and Ned Doyle, with Streisand and Marty Erlichman serving as executive producers. The film is written by Streisand, Jay Landers and Richard Jay-Alexander. The film launches tomorrow and Babs was on the Ellen DeGeneres show today to promote it.